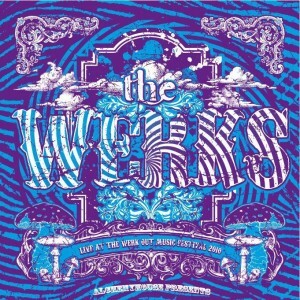 Ohio’s premier rock, funk and trance band, The Werks, fuses a unique blend of many musical styles and influences into a distinct and powerful sound that audiences crave show after show. The Werks true power resides in their live performances that explore genres such as rock, funk, jam, electronica, soul, bluegrass, jazz, Afro-Cuban, Celtic, R&B and dance. Their unique style of performing is affected and manipulated by the energy of the audience, guaranteeing that each show will be different and memorable. Their influences are as eclectic as their music, but some common influences include Led Zeppelin, Eric Clapton, The Allman Brothers, Phish, Jimi Hendrix, Rush, The Beatles, Red Hot Chili Peppers, Pink Floyd, Umphrey’s McGee, and The Grateful Dead. As their tour radius increases, it is obvious that The Werks are becoming one of the Midwest’s fastest growing bands. This success is largely accredited to the hard work of their street team and the dedication of their fans. “The Werks have gradually transcended the genre stereotypes to become an outstanding and very original rock band.” – Mick Montegomery, C.S.T.